Let us create a custom quilt for you! Native Life can help you design, choose colors and pick the perfect size for a custom one-of-a-kind quilt made just for you or as a special gift. 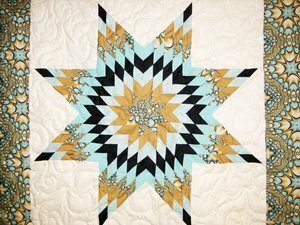 Native Life specializes in Lone Star Quilts but we love to make quilts of all kinds. We would be more than happy to give you a free, no obligation price estimate.